Who says teaching kids to read is controversy-free? Currently, there is a raging (and growing) debate among linguists, politicians and educators between two methods of reading instruction: phonics and whole language (sometimes called “basal” reading or “reading by sight”). Phonics, which uses phonemes – the smallest units of sound in a given language – to help children and adults learn to read, has a wide amount of appeal; however, whole language reading absolutely has its proponents and needn’t be nixed. Here, we’ll look at what whole language reading is and how to make it work in your home or classroom environment. The premise behind whole language reading is quite simple – learners memorise whole words instead of “sounding out” their parts. Thus, the word “letter” is not broken down into a variety of sounds but is just learned as a single unit. Generally speaking, the principles of phonics are never discussed during whole language reading, with teachers opting instead to help their students understand the meaning of words rather than the components which make up the terms. The process of whole language reading does take time, but those who have used it successfully feel that children have a better vocabulary than those who study phonics. Unfortunately, whole language reading, though useful for many boys and girls, doesn’t always translate well. As with any instructional method, it sometimes works… and sometimes fails. The main dilemma is that whole language reading does not teach readers how to deconstruct words; thus, they have difficulties when approaching words with which they are unfamiliar. For instance, a boy or girl might be able to “sight read” the word “dog”, but would be unable to “sound out” the word “doggedly”. Because of these real and perceived problems, some parents and teachers have suggested that whole language reading should be scrapped in the classroom; yet it does have its merit and has helped generations of kids become literate. As many educators have come to realise, using whole language reading in combination with phonetics is a recipe for literacy success. Rather than adopting an either/or philosophy, accepting and exploring both techniques often produces excellent results. For example, while phonics can be handy, it doesn’t always work with English language words that “buck” the rules. In those cases, memorising whole words seems appropriate and reasonable. Additionally, some special needs children (such as those with autism) may be better “sight readers”, able to recognise a familiar word instantaneously, but unable to phonetically deconstruct the term. 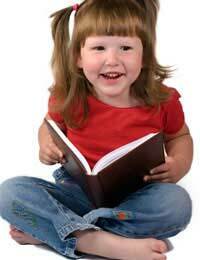 Consequently, it’s a smart solution for anyone helping kids to read to explore every possible reading method. After all, what works for one child might not work for another; thus, it’s important to have as many proverbial “arrows” in your quiver as possible! That way, you and your young reader will have the best chance at becoming a lifelong lover of the written word.